Some kids just don’t respect their elders. We’ve all been there, too much beer or whatever your poison is. 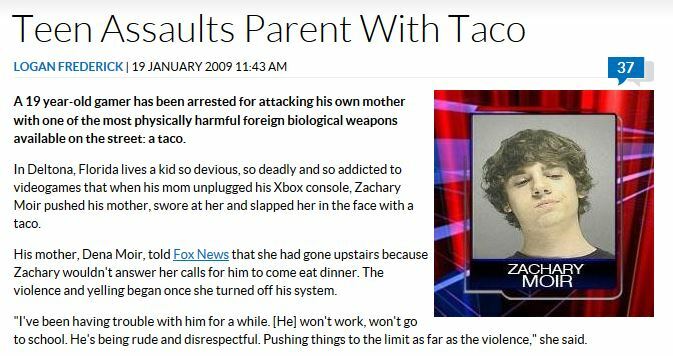 But unless you’re Taco Jesus you’re unlikely to be able to use a taco as an ID. 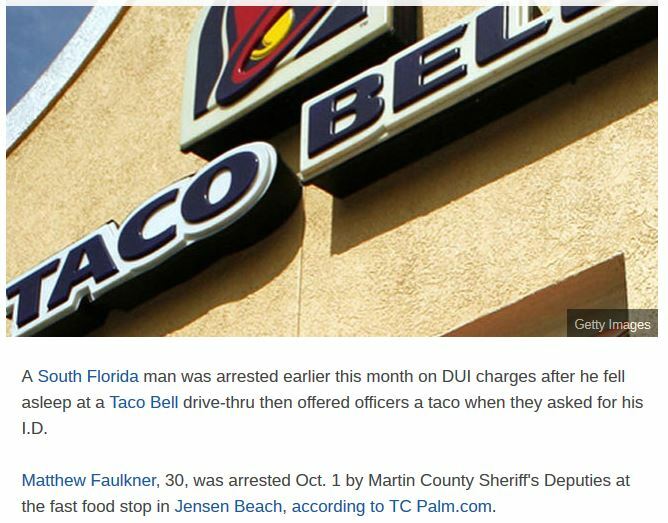 This entry was posted in Message from Taco Jesus and tagged Crime, florida, hot sauce, taco by Taco Jesus. Bookmark the permalink.